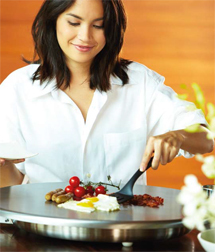 Welcome to Cook-N-Dine Australia, the home of premium Stainless Steel Cooktops. Our ‘Cooking Grade’ 304 Stainless Steel cooktops create a stunning feature piece for any indoor or outdoor kitchen. Entertain your guests with innovative and interactive teppanyaki-style cooking, or just cook for the family with our safe and clean cooktops. Cook-N-Dine tables and cooktops are designed and made in Germany. Our wide selection ensures we can compliment any modern kitchen or alfresco area. View our range online or contact us direct so you can enjoy the Cook-N-Dine experience for yourself!